As we are living in this digital age, many new digital techniques have been introduced through which we can give our business wide exposure and can help us grow our business. These techniques are very important for the success of your business and for keeping your business ahead in the competitive environment. Below are five strategies that every businessperson should use. Building a goal is a very important first step for a business because you have to know why you want to do something, you may want to create awareness, attract more customers to your business or grow your business. With the help of identifying goals and finding ways to achieve your goals, you can successfully achieve those goals. Without knowing your goals, you will find it difficult to achieve your goals and will waste your time and resources. The marketing funnel is a very important tool for business person and marketers because it tells you what position your customer currently is. Every business should know about the position of their every customer, it can be that customer has never heard of your company or he is choosing to buy from your company rather than anyone else. Marketing funnel mainly consists of four different parts namely awareness, interest, desire, and action. This is the initial stage where the potential customer is unaware of your company’s products or services. You build techniques that expose them to your product and they come to your website to find information about your product. There are techniques like the lead magnet or call to action, which exposes them to your products and new products after they subscribe to you. After creating awareness of your company and its products, you try to make customer interested towards your products or services by telling them their benefits to them. This is an important and difficult step of a journey because there are many competitors who are trying to attract customers towards their products; the best thing is to tell customers about your product’s uniqueness that no one is able to match. Your product should provide what customers are looking for. After creating an interest your next task should create a desire for your products here, the main task is to convince your customer that your product is the right choice for them. Many marketers use the discount tactics to create a desire in the heart of a customer while some use emotions. Now that your customers are convinced that your product is the right choice for them all you have to do is just tell them how they can get their hands on your products, and where it is available, you can use call for action like buy now and take them to your purchasing page. Call to action can be used separately also, call to action is a process of generating action from potential customers, which gives you very valuable information about a customer. Things like asking for subscription, making an order, view the video or a picture are all examples of a call to action; these are commonly used in ads. When a customer clicks on a call to action so he is directed towards a page where he takes an action that he was asked to take and in return, we get customers contact detail, which we can use to give information according to his interest. It is very similar to call to action; the lead magnet is also used to exchange information with your customer. An example of a lead magnet is that free offer that asks you to create accounts with them. When a customer creates accounts to avail free offers, he gives information about his interest and company use it to offer them similar products related to their interest. 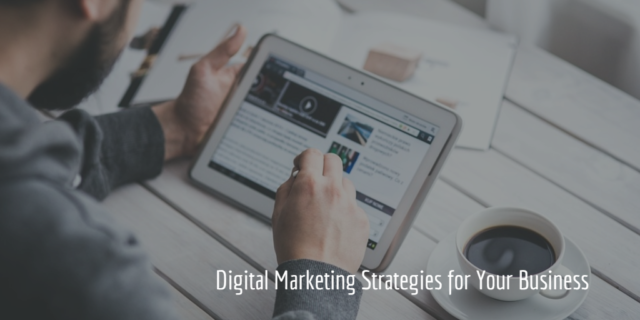 Most important part of your digital marketing strategies is generating traffic because without traffic all your strategies are useless, to drive traffic to your page there three ways. It is all the techniques used to gain the top five positions in the search engine so that your website is exposed to maximum traffic in order to generate maximum traffic to your page. It is the use of search engine to generate a maximum audience. The majority part of it is ads that appear on the search engines and various pages in order to generate an audience and some part consists of SEO. As the use of the social media is very common among users so you can take advantage of it by using social media sites to create post consisting of audio, video, and words to generate an audience to your page. Social media marketing is the uses of social media to generate an audience for your company, the majority portion of it consists of digital ads that generate an audience and some part is SMO. With the help of these strategies, you can easily expand your business and make it successful. Author Bio: The writer of this article is Alina Olive. She provides professional web designing services in Pakistan. She has 5-year experience of web designing and her passion is writing she has her own blog where she posts her life experience about designing and development. Volusion Vs. Shopify: A Comparative Analysis!